This little gem of a book caught me off guard. I am surprised I haven’t heard more buzz about it. I found it to be utterly delightful, insightful, and hilarious! Short recap: Mei is a Taiwanese-American teenager trying to live up to the expectations of her Taiwanese parents while being true to her American side as well. It should be no surprise that this is not an easy task for Mei. Her parents skipped her a grade in school and she is attending MIT at the age of 17. Her parents have dreams of her becoming a doctor all the while ignoring the fact that Mei has a thing about germs. She also has a crush on someone her family would not approve of because he is not Taiwanese nor a doctor. How is Mei going to navigate this imperative year of her youth so she can make herself happy and respect her family? 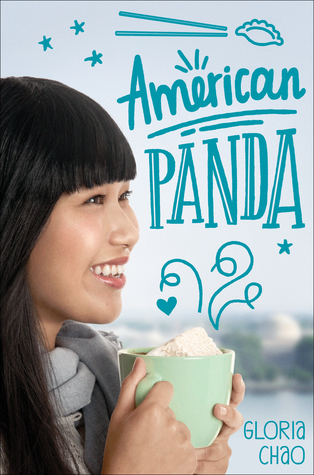 From the first page I knew I was going to fall head over heels for Mei – and I did! She was a brilliant character. She was deeply flawed and wonderfully complex. I immediately felt for her and wanted to be friends with her. I wanted to give her a hug to let her know that at some point things would work out. The poor struggles this girl went through… the guilt and shame! Throughout everything, she still kept her whit and kindness. She always knew what she wanted to do but having the courage to stand up to her parents was something else. I loved reading her development as the story continued. She was just delightful to read. I hope this does not come across the wrong way but I feel I learned a lot about the Taiwanese culture and some customs from this story. I had no idea so much was required of children! It really helped open my eyes, that’s for sure. Sure, it was fun to laugh at how crazy Mei’s mom came across but I have a strong feeling a lot of Taiwanese children live that daily and they are not laughing. I think the humor was a nice way of helping the story move forward. I’m not making light of anything – please know that. Mei’s mom and her reactions to things really was humorous at times. I am not going to be able to write enough positive things about this book. In the end, it really is about a girl finding her hidden strength to stand up for herself to her over-bearing parents. Well, most of us would find them over-bearing, Mei and girls like Mei deal with it on the daily. I loved Mei and her story. I loved her path to self discovery. I loved the story of how important family is and how important they are in our lives. I loved reading about the culture. I loved everything about this book. My only regret is that I didn’t read it sooner. Great review! I really liked this one, too. I loved Mei too! I will seek out Gloria Chao’s next book based on how much I loved her writing. I read this as part of my 2018 debut author challenge and am so happy I did.